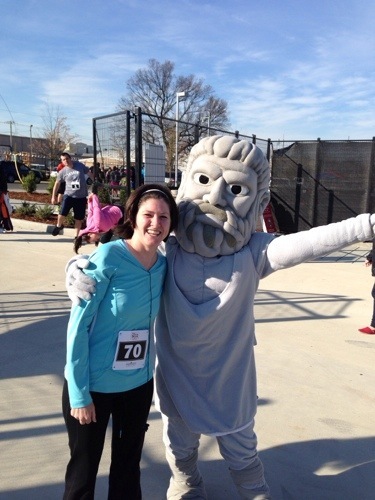 My first official 5K was for the Junior League of Birmingham 5K for Kids. A colleague is Race Day Chair, so I thought I would join in and support her cause. It was a great first race, with almost perfect weather! My official time was 32:33, and I placed 19th in my age group. Samantha was disappointed that I didn’t win, but I had to explain that it’s ok because I tried my best and I was proud of myself. Vulcan showed up at Regions Field too! Congratulations!!!!!!!! I am so proud of you.!!!! You go girl!!! !